American Express Preferred Rewards Platinum Card Review (Amex Platinum Review) – Is Amex Platinum Worth It UK? 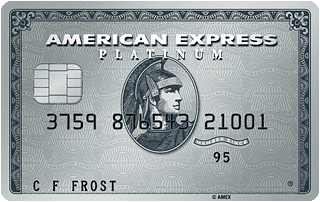 This is my updated review of the American Express Preferred Rewards Platinum card (Amex Platinum card UK review). The chances are you’ve stumbled across this page because you’re asking yourself does the £450 pa cost of holding the card really make sense? 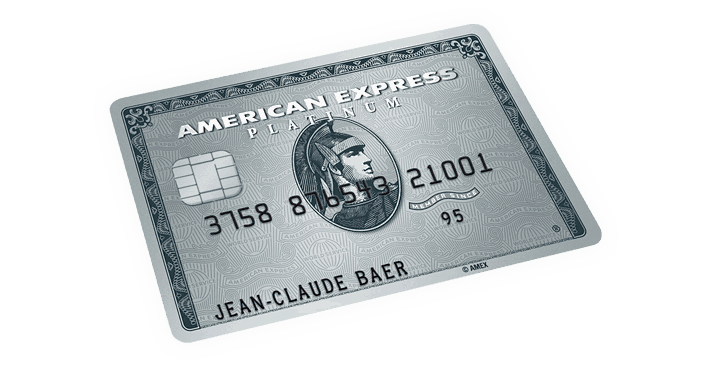 In this review I’ll delve into the key benefits of the card, run some (hopefully) easy-to-follow cost analysis and answer the question on everyone’s lips – Is Amex Platinum worth it UK? What Are the Other Benefits of the Amex Platinum Card? Anything Else I Should Know About the Amex Platinum Card? How Do the Amex Platinum UK Benefits Compare with Other Credit Cards? Ways to Spend Your Amex Platinum UK Rewards? Let’s start with the boring stuff. The UK American Express Preferred Rewards Platinum card is issued directly by American Express and is a charge card, not a credit card. For those that don’t know, a charge card needs to be paid in full at the end of each month! You can hold up to 2 charge cards and 2 credit cards which have been issued by American Express at any one time, although this doesn’t include Amex cards which are provided by the likes of BA, Lloyds, TSB or Barclays. I’d recommend checking your credit rating before applying for a new card. Generally you should have a rating in excess of 700+. Click here for a free Equifax credit report and score. It’s free for the first 30 days and then £14.95 per month afterwards (make sure you cancel in the first 30 days!). The American Express Preferred Rewards Platinum card offers 30,000 bonus Membership Rewards points when you spend £2,000 in your first 3 months. You can increase your sign-up bonus to 35,000 points by using this referral link and scrolling down to the correct card (as seen highlighted in red below). Membership Rewards points can be directly converted to Avios and similar points from a number of other partners. If converted to Avios this would be enough for a return flight to Athens from the UK. Alternatively see how I used my American Express Rewards points and the BA 2-4-1 voucher to fly two people First Class to Sao Paulo for free – review here (Tip: the free First-Class flight review is the most popular page on our website by far and may be worth bookmarking for a later date :)). You can increase to 35,000, the total number of sign-up bonus Membership Rewards points by using this link and scrolling down to the correct card. Simply scroll down and click on the link to the Amex Platinum card. You won’t find this anywhere else on the internet! For those who have read my post about the value of American Express Membership Rewards points (click here to read) if converted to Avios, you’ll know that I value the points at roughly £0.01 per point. As such by using this link you’re making in the region of £50. Worth considering and as you’ll see below may go a long way towards offsetting the cost of the card! When you sign up to the Amex Platinum card you and a supplementary cardholder will receive a Priority Pass Card. 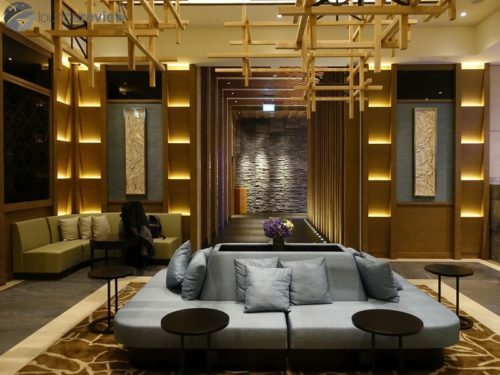 Priority Pass offers a VIP experience at over 1000 airport lounges with complimentary drinks, refreshments and pre-flight bites (including alcohol!). This could be worth between £50-£250 depending on your travel habits. See how I arrive at this figure below. Have a look at the Plaza Premium Lounge – London Heathrow Terminal 2. Travel insurance for you and the rest of the family. Just check the terms and conditions because some elements require you to pay by an American Express card. Also included is free hire-car insurance with no requirement to use the card. Earn one Membership Rewards point for virtually every £1 spent on the card. These again can be converted to Avios, which if applied to the 35,000 sign-up bonus will help you reach those further-away destinations. Note that prices are fixed and as such may be more expensive than booking direct. Always check! American Express no longer has a minimum income requirement for the card. Recent changes to American Express rules now mean that to qualify for the sign up bonus you cannot have held a personal Membership Rewards American Express credit card in the last 24 months – this would include the Green, Gold and Platinum Card. If you’ve only had the Nectar, Costco, Starwood, British Airways you can still obtain the sign up bonus – learn more about the sign up bonus restrictions and our suggested strategy here. Finally just a reminder that the American Express Preferred Rewards Platinum card is not a credit card and should be repaid in full at the end of each month. With a whopping £450 annual fee, one would hope that the Amex Platinum benefits far outweigh the cost of the card. One of the main questions I’m regularly asked – Is Amex Platinum worth it UK? To compare the American Express Platinum card against some of its competitors, I thought it would be useful to calculate the monetary value of the various benefits offered by the card. Now this is not an easy task and is dependent on the individual’s personal circumstances, however hopefully this will provide some indication to allow you to calculate whether the American Express Platinum benefits are truly worth it for the £450 annual fee. Sign-up Bonus – As I mentioned earlier, you’ll receive a bonus of 30,000 Membership Rewards points when you spend £2,000 in the first 3 months on the Amex Platinum card. This can be increased to 35,000 membership rewards points if you use this link and scrolling down to the correct card. Now the value of these points will vary depending on what you decide to spend them on. For example if you are to convert to Amazon vouchers you’ll get approximately 0.5p for every reward point you earned with the American Express Platinum card. If you’ve read my post covering the value of an Avios point (found here) you’ll know that if transferred to Avios, I expect the value to be in the region of 1p per reward point (1 to 1 conversion rate). As such the sign-up bonus offered on the Amex Platinum credit card could be worth anywhere between £175 and £350 depending on how they’re redeemed. American Express Platinum Travel Insurance – The card offers family travel Insurance. If you’re a single traveller then this reward may not be worth a significant amount however I’ve just run a quick search and the cheapest annual family insurance on similar terms is £223. Not a bad benefit if you have a large family. Full Car-Hire Insurance – The American Express Platinum card UK offers free car-hire insurance, which for me has relatively limited value as I usually rent cars through work and as such they cover the cost of the insurance. However if you’re inclined to rent a car on every holiday you go on, this could be worth a considerable amount. I’ve had a search online and you can purchase a similar policy for somewhere in the region of £40. Lounge Access with the Amex Platinum Rewards Card – Now one of my personal favourites is the TWO Priority Passes you get with the card. The perceived value of these will vary depending on how much you travel. 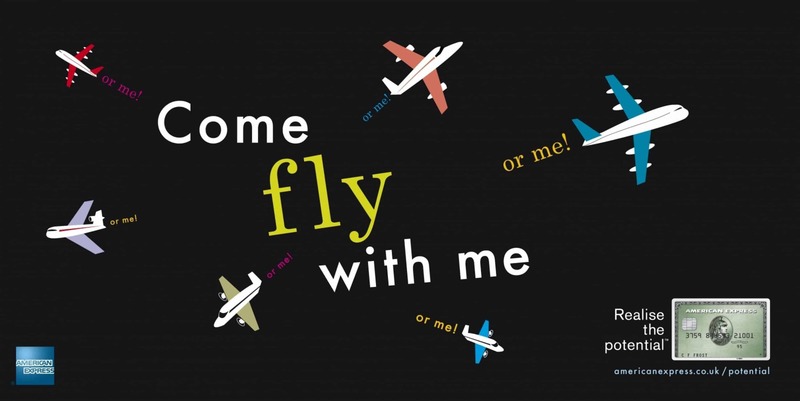 For independent flyers who only travel once or twice a year, this is likely to have limited, if any, value. 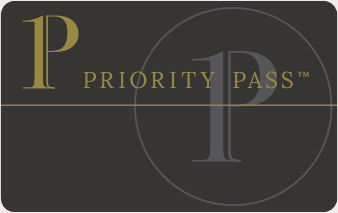 Alternatively if you’re a family of 4, who fly three times a year and like to use lounges, then the Priority Pass cards could be worth anywhere up to £180 (based on 4 guests, 3 times a year at £20 per person per visit). A similar calculation can be undertaken for the Eurostar lounge access. Finally with the American Express Platinum card you will also gain status with the various hotel schemes listed above. Whilst these of course have a value, it’s slightly more difficult to attribute. For the purpose of this exercise we’ll say they are nice to have but provide limited value to offset against the £450 cost of the Amex Platinum UK card. So what have we learned? You’re likely to get better value from the card if you have a family as opposed to being an independent traveller. In this example the family of 4 may benefit somewhere in the region of £793, far outweighing the cost of the American Express Platinum credit card UK. However an individual who rarely flies and would use the points to purchase an item at Amazon may only get £175 of value from the card. As such it would be a bad move for this individual to sign up. For the purpose of this exercise, I’m going to compare the Amex Platinum credit card with the American Express Gold card and the British Airways American Express Premium card. Both are cards that I rate highly. Full reviews can be found here – Amex Gold Review / BA Amex Premium Review. Now you’ll earn significantly more points with the Amex Platinum Rewards card than both comparison cards, and at 1p per Avios this difference is worth between £50 and £100. The difference is even greater if you use this referral link and scrolling down to the correct card to boost the sign-up bonus from 30,000 to 35,000 points. That said, the American Express Gold card (full review here) is free for the first year and a ‘mere’ £140 pa thereafter (although I wouldn’t recommend paying for the card). With the Amex Gold card you’ll also receive 2 free lounge passes. Great if you rarely fly, however as seen earlier, the 2 passes of the Platinum American Express can be huge if you’re travelling with a large family. Now the BA Amex Premium card has one very important benefit and that’s the 2-4-1 voucher. I recently used this to redeem two First-Class flights to Sao Paulo, saving me somewhere in the region of 140,000 Avios. At 1p per Avios, that’s a staggering saving of £1,400 which in my mind put this card way ahead of the American Express Platinum card for couples who already have a significant number of Avios points to use. 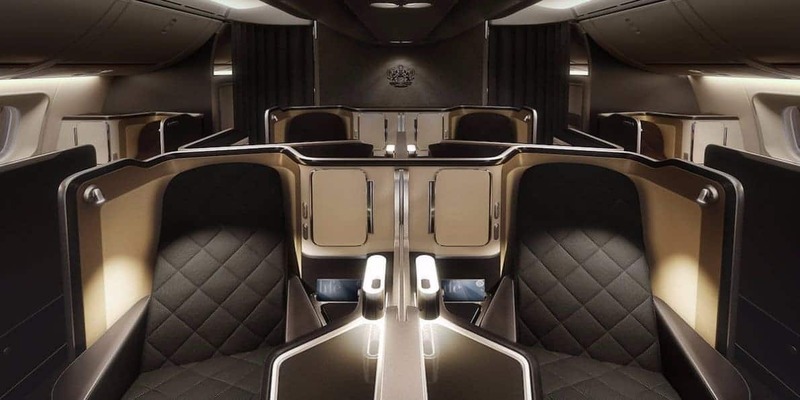 You can read my full review of the BA Premium Card here or alternatively bookmark our guide to obtaining a free First-Class flight for you and a companion – found here. In this scenario, we’re going to look at the various ways you can spend both the 30,000 (35,000 using this link and scrolling down to the correct card) sign-up bonus and the additional points you’ve accumulated by spending money on the Amex Platinum card. You could use the 35,000 Membership Rewards points against the balance of your American Express Platinum credit card at a rate of 0.4p per point. This would be a worst-case scenario in my eyes. If you shop online via the American Express website, you have the option to use reward points. You should note however that merchant rewards generally equate to less than 0.4p and as such you’d be better off putting it on your American Express Platinum credit card and using the points to pay it off. In addition you’ll earn further points on the card spend J! You can use the points to shop directly on Amazon.co.uk at a rate of 0.45p or alternatively if you are to purchase an Amazon gift card you’ll receive a rate of 0.5p (as mentioned above). Similarly other retailer gift cards can be redeemed at 0.5p. Your Membership Rewards points can be used for hotel stays and generally work out relatively favourably at between 0.5p and 1p per stay. Hotel operators include Hilton, Starwood (providing access to the Marriott offering), Club Carlson and Melia. Finally, and my recommended method, is to convert the points you’ve earned from the Amex Gold card to air miles. You can see how I value Avios points here, however I estimate the value to be in the region of 0.8p to 1.3p per point. As highlighted above there are a number of ways you can spend the points you’ve earned with the Amex Platinum UK credit card, with the sign-up bonus of 35,000 worth anywhere between £140 and £350. Whilst I don’t advocate churning cards purely for points, I would highlight that the £450 pa charge for the American Express Platinum card is refundable on a pro-rata basis. As such, once you’ve spent the qualifying amount of £2,000 and have banked the rewards points you’ll be able to recoup a significant proportion of the fee for the Platinum American Express card. How to get the Amex Platinum Card? Historically the American Platinum card was only available to those with bank balances which could feed a third-world country for a year. Nowadays the prestigious card is not based on salary and available to anyone over the age of 18 with no history of bad debt and a permanent UK home address (according to the American Express website). As we’ve seen in the examples above, for a family of 4 the £450 charge for the American Express Platinum card would be more than offset by the various benefits. However if you’re an independent traveller you may be better off with the free American Express Gold Card – full review here. What Happens if I Already Have the American Express Gold? For those who already have the American Express Gold card and are thinking to upgrade to the Amex Platinum there are two options. Either cancel the card and wait 24 months to receive the 35,000 reward points sign-up bonus. Or switch your Gold card to the American Express Platinum card and you’ll receive a sign-up bonus of 20,000 reward points. What’s Amex Platinum Eurostar Lounge access like? Unlike the Priority Pass, which entitles the cardholder to also invite a guest, the Amex Platinum Eurostar lounge access is unfortunately only for the cardholder. Only on one occasion out of the last 6 return journeys have I been travelling by myself and in that instance I was running late on one of the journeys. If you travel on the Eurostar regularly for work then this benefit may have some good value however for me who predominantly travels with Eurostar for leisure it’s been challenging to use! The sign-up bonus of 30,000 points (35,000 points if you use this specific sign up link and scrolling down to the correct card) for the Amex Platinum credit card is the most generous in the market at the current time. Is Amex Platinum worth it UK? The £450 annual fee is one of the most expensive in the market, however as we’ve seen from our cost analysis if you are a frequent traveller who would use the various other perks of the card, there is definitely value to be had here. Note you can always cancel for a pro-rata fee refund at any time, useful if you receive your sign-up bonus and find you aren’t making the most of your various other perks. Alternatively if the maths just don’t add up why not try the (free for the first 12 months) American Express Gold Card – reviewed here. I hope you’ve found the Amex Platinum card review useful and as always please do comment if you have any queries. Please do share this post if you think friends would be interested.